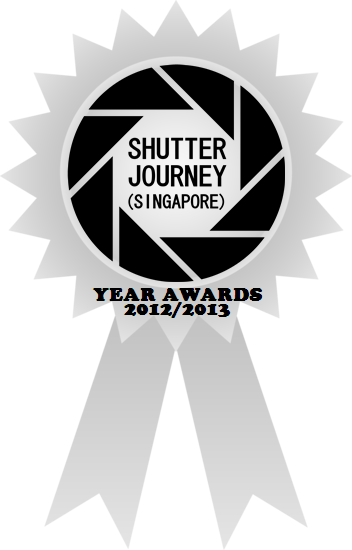 11th June 2013, Singapore – ourshutterjourney.com Year Awards 2012/ 2013 is here! We will like to take this opportunity to thank all our readers, followers, members, supporting merchants for making ourshutterjourney.com one of the most read photography site in Singapore! Now, let’s hear it from you – the reader! And 02 x readers will stand to win a $100 NTUC Fairprice Voucher** each! 1) Answer the below questions and email your answers to sjscontest@live.com with subject “SJS Year Awards 2012/2013. 2) There is no right or wrong answers, just answer every questions and you will be eligible to win. 3) Winners will be randomly picked from the eligible list and will be notified. 4) Please include your full name, contact number in the email. 5) All emails must reach us by 15th June 2013 midnight. It’s that simple! Join Now! Question 12: How many Sigma reviews have you read on ourshutterjourney.com? Question 13: How many Pentax reviews are there on ourshutterjourney.com? Question 14: How many Review Editors are there on ourshutterjourney.com? Email your answers from Question 1 to 14 to sjscontest@live.com by 15th June 2013 midnight. Results will be published on 16th June 2013. Once again, thank you everyone. We wouldn’t have come this far without the support from each & everyone of you. Have fun answering the questions & Good Luck Everyone! ** Prizes Kindly Sponsored by Audio & Photo Distributor (F.E.) Pte Ltd & Sigma Marketing Singapore Pte Ltd. This entry was posted in Brand: Canon, Brand: Nikon, Brand: Olympus, Brand: Others (Cosina, Carl Zeiss, Leica, Mamiya, Samyang, Vivitar, Zenitar,etc), Brand: Pentax, Brand: Sigma, Brand: Sony, Brand: Tamron, Brand: Tokina, Photography Articles & Videos, Photography Contests, Photography Courses & Events, Uncategorized and tagged Contest, Photography Contest, SJS Year Awards, Year Awards. Bookmark the permalink.